Make Working from Home Work for You #Infographic ~ Visualistan '+g+"
Letting employees work from home is an easy perk for businesses to offer—but it can come with its own challenges. The good news is that with a few simple steps, employees can maintain or even improve upon their productivity. Creating a designated workspace that is comfortable and organized is the first step in making working from home a successful endeavor. Other important aspects include making—and sticking to—a daily schedule, taking lunch and snack breaks, and getting out of the house occasionally to refresh the mind. 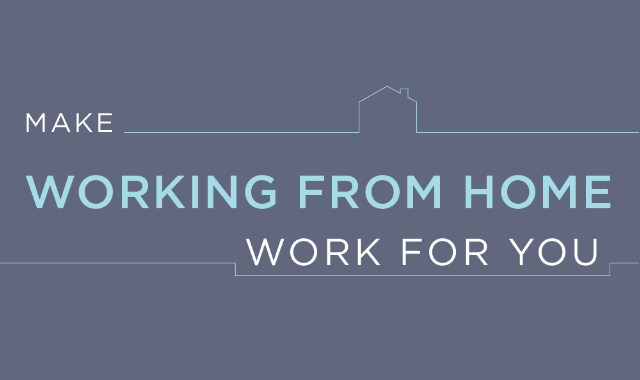 Take a look at our latest infographic to learn more tips for making working from home a success.